Now, I know that it is after Halloween, but I am proud of this, so I am going to post it anyway. 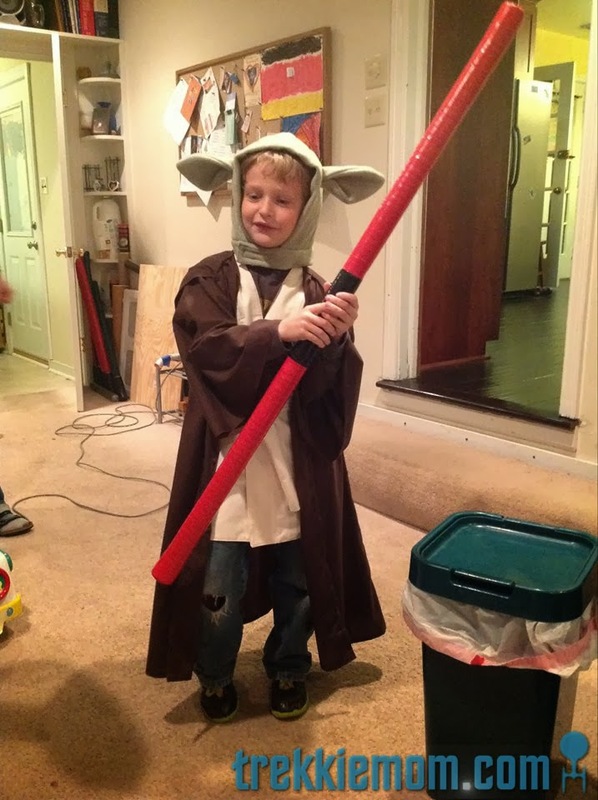 My son wanted to be Yoda from Star Wars for Halloween. 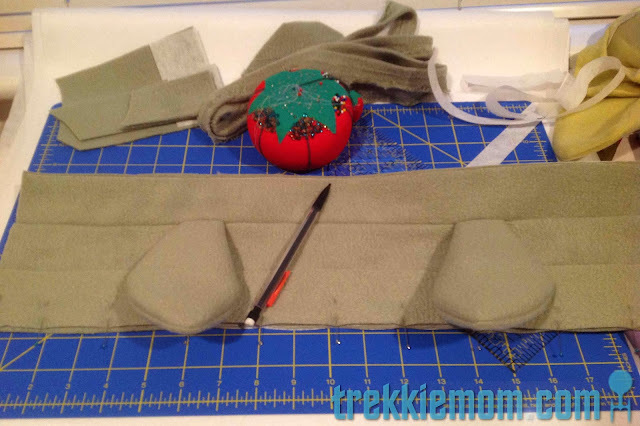 Good thing I had already created the Jedi robe and vest for his Star Wars birthday party. 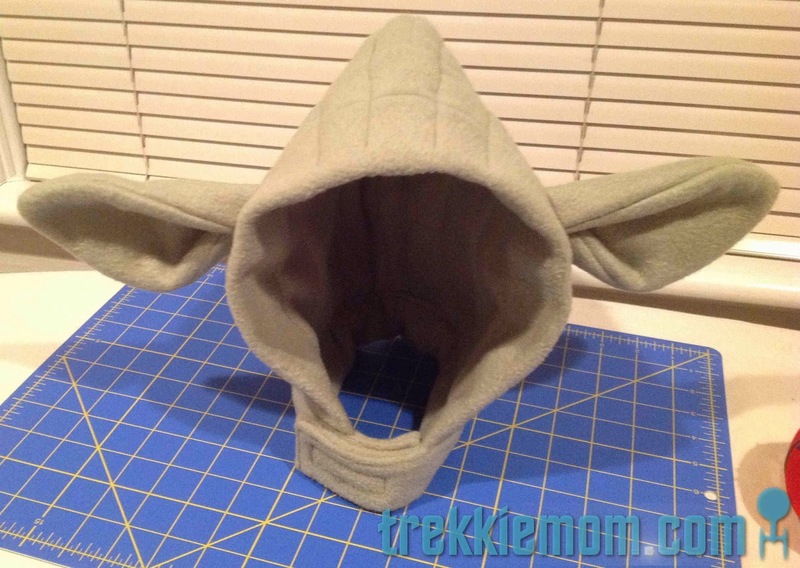 But how do you create a Yoda look? First, I needed to purchase some Yoda green fleece. What is Yoda green anyway? 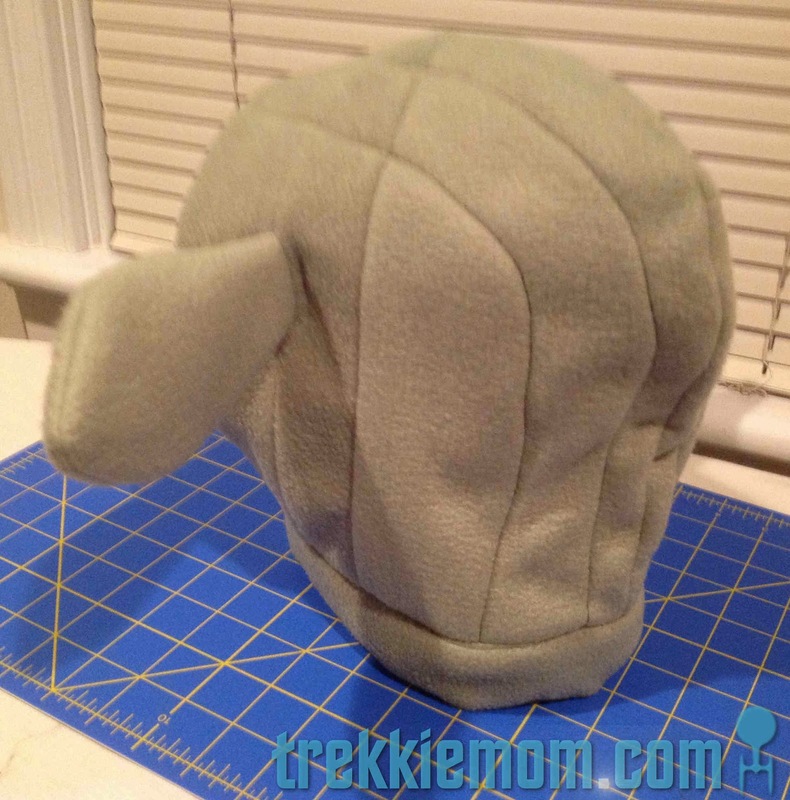 Basically, I picked 2 different light colored green fleece fabrics that I thought would suit. I had a week to go, and I was not going back to the store for more fabric. 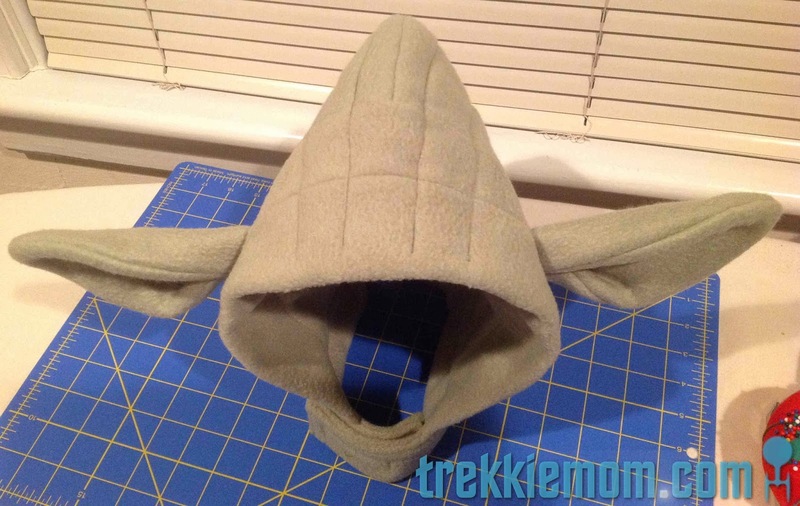 I decided to create a hood-like cowl. Having bought a Yoda outfit for my youngest last year, I decided to use that as an example for the ears and slight inspiration for the rest. This took a few different paper sketches to get it just right, but I persevered. 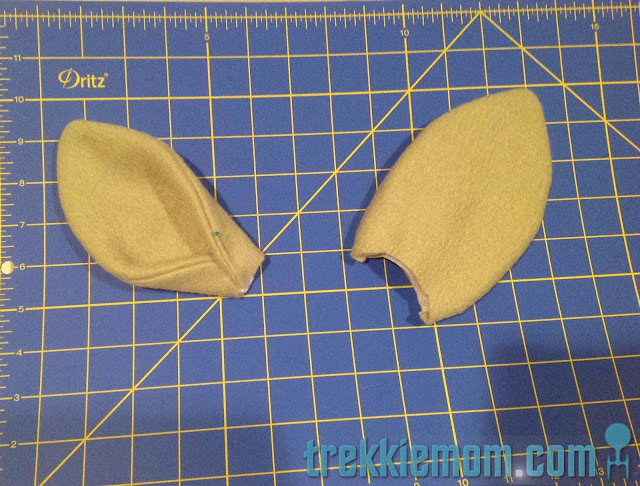 I added a layer of interfacing to give the ears for some staying power to keep them from drooping. 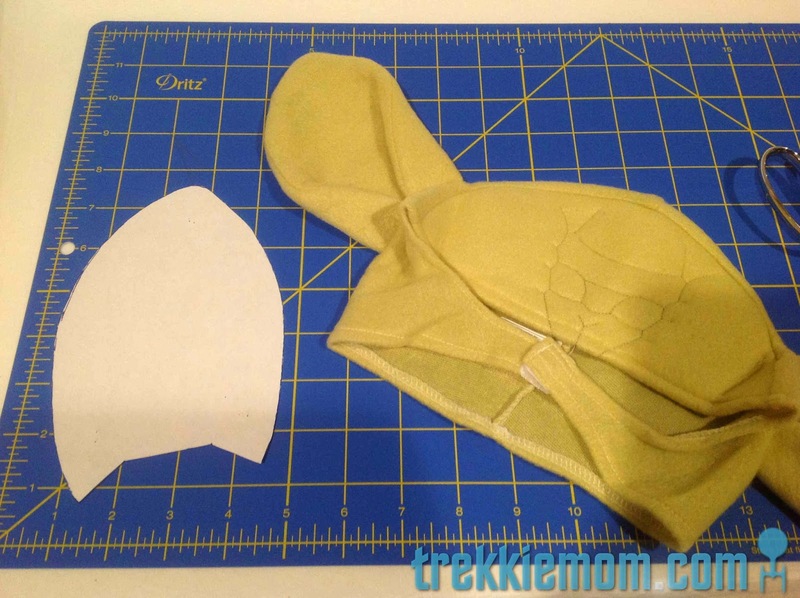 I sewed the outside seam and turned the ears inside out, folding and pinning them as indicated on the lines of the interfacing above. Then I sewed them into the cowl on the sides so that they didn't look like donkey ears. 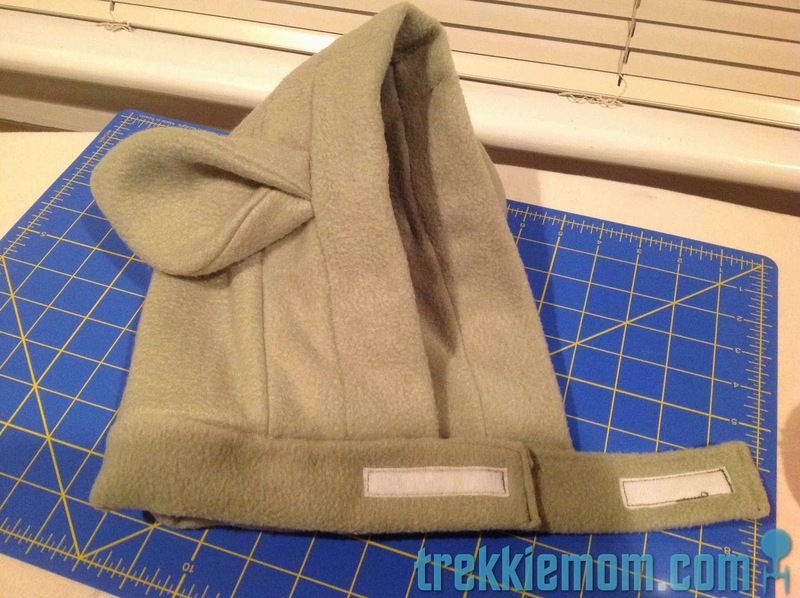 The front portion of the hood-like cowl is made of 4 long rectangular strips and 2 matching strips of interfacing. 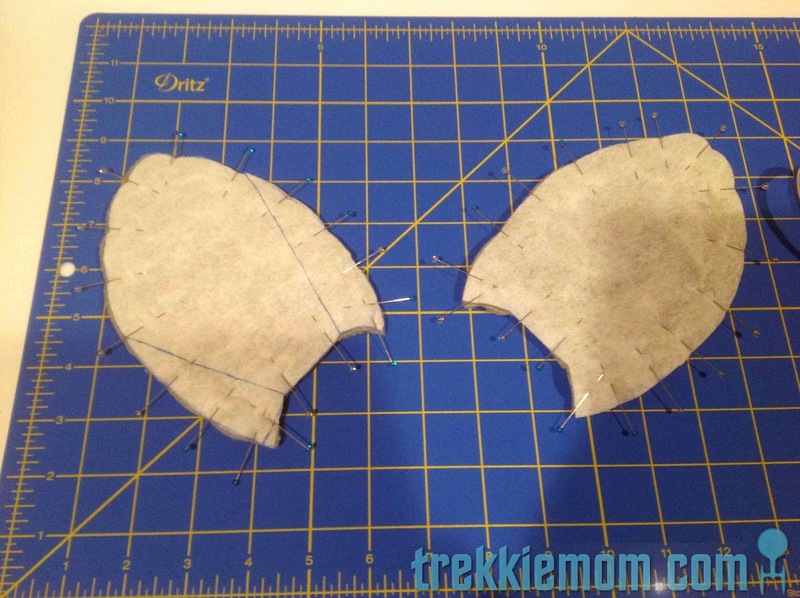 Two strips are for the outer portion and the other 2 are for the inner portion, basically adding a lining. 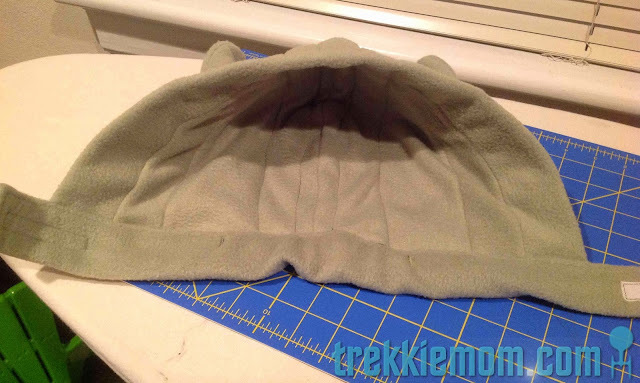 I finished the cowl by cutting pieces for the back that matched a hoodie that fits him well, again with matching lining pieces. I added 4 rows of stitches starting at the front and going to the back to simulate Yoda's wrinkly skin. 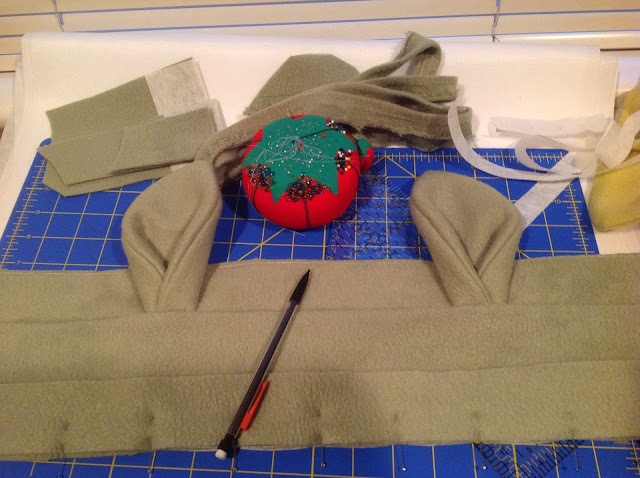 Once the 'hood' was completed, I added a finishing piece to the bottom to wrap around the neck and attach under the chin with velcro. Not too bad on short notice with no pattern, but alas, it never left the house Halloween night. After trying it on and snapping a few pics, my son announced that he didn't want to wear it at all. 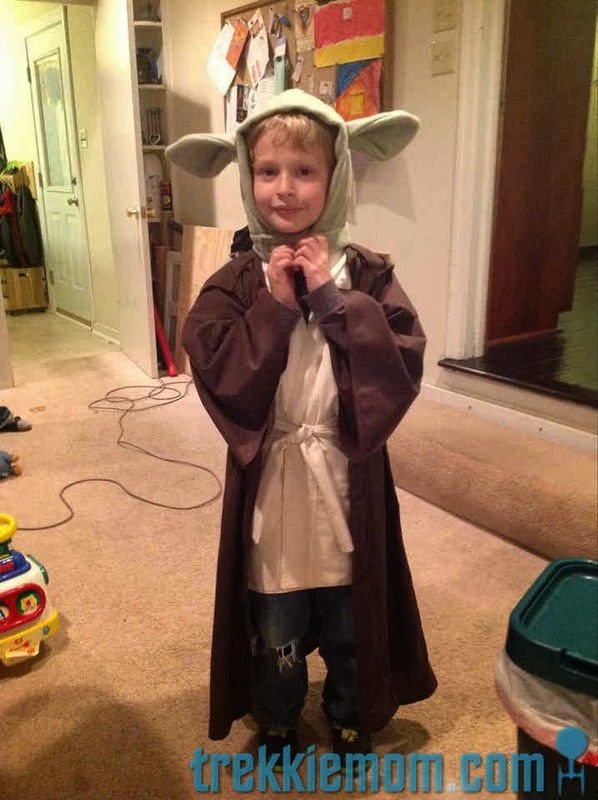 He had expected a full body Yoda suite. Uh, okay. 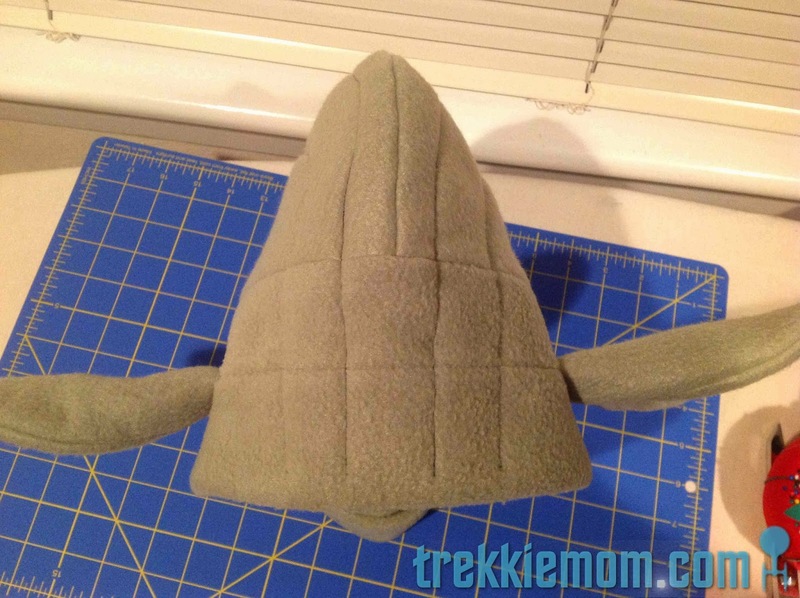 I guess that was in the fine print of what he said to me when he indicated he wanted to be Yoda. Throughout the night he took off bits of the rest of the costume for my husband and I to hold while he raced from house to house with his friends. I think one of my favorite moments was when a nice woman at one of the homes asked him what he was, and in his Jedi robe and vest with light saber in hand, he proudly stated, "I'm Captain Kirk!" Here's Trekkie Mom, "giving her all she's got, Captain!"